Ian Hislop has just returned from a two-week holiday to find – as is customary at Private Eye – himself featuring as a lookalike in his magazine’s letter pages. On this occasion, his staff – led by deputy Francis Wheen – have tracked down an image of Hislop as a schoolboy with a blond mop-top, and compared him with the frontman of Britpop band The Charlatans. Shortly before he went away on holiday, ABC figures showed that the Eye has recorded its highest average fortnightly circulation since 1986 – the year Hislop succeeded the magazine’s co-founder Richard Ingrams as editor. With an average circulation of 228,264, it has the highest sale of any current affairs magazine in the UK. Hislop says he was “incredibly pleased… and somewhat surprised” by the performance. “The thing we’ve done recently is upped the print size, after complaints for a very long time about ‘it’s too small’. Which meant that we had to make the magazine bigger. "And I thought, if I’m upping the print size, I’ll put more cartoons in. So there are now about 40 cartoons, instead of 25. "One thing we did last week – and I gather while I was away it did terrifically well – was this map of offshore holdings… it’s almost like a video game – you go to your street and find out who’s got offshore holdings. Do you have the Eye’s web figures to hand? Are they important? Asked if any Eye front covers did particularly well, Hislop says the post-election “Hands up all those who thought I'd win” issue was the most popular. He was most proud of the cover marking the Charlie Hebdo January massacre: “Je suis charlatan” (both pictured). Are there concerns for Private Eye following the Charlie Hebdo attack? Have you introduced any extra security? 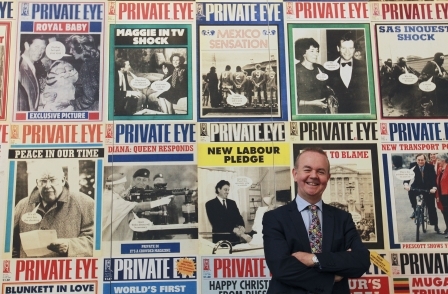 Private Eye currently has a record number of subscribers – 136,000, according to ABC – which Hislop says is a “huge part of the model – ‘model!’, that’s very good jargon”. But the Eye makes no secret of the fact its coverage often leads to subscriber cancellations. “There are a lot of people who’ve discovered politics recently but haven’t got the idea that – in the world of politics – it’s possible for the opposition A) to have a point and B) to offer criticism. People written about in Private Eye are “not automatically” given right of reply. Why is that the case? “That’s one of the things I learnt from my predecessor, and one of the things that during the injunction stage became very clear. But would giving a right of reply lead to fewer mistakes? In January 1994, when you appeared on Desert Island Discs, the Eye’s average annual legal bill was said to be £200,000. Has that now changed? “Rather more than that… I don’t know what I was doing quoting figures. That sounds quite low. 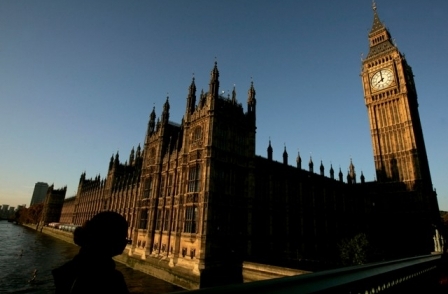 Nowadays, it’s not the libel bill so much – I mean there’s a certain amount of that. But everything that’s cost us money is confidentiality, privilege, privacy, those are all the things. “I think we’re actually more effective at fighting off libel now. We’ve got a really good lawyer. And a better pre-defence than we used to have. And he’s more aggressive. Do you often get angry calls from people who are featured in Private Eye? “Yeah… and occasionally I run into someone. The last was I bumped into Lady Rothermere at a do, who said that she’d rung up to complain about some piece we’d written about the Rothermeres and apparently I wasn’t in. I would imagine lots of people are on bad terms with Private Eye. But are many people on good terms? Are these people protected from criticism in the Eye? A good message to the contributors. What are you like as an editor? I can’t imagine you getting too angry, but are you a Dacre figure? “No, I’m told… that I’m very bad tempered. And short. Which maybe I am – but only, obviously, for everyone’s good. And I do hate getting things wrong – I really, really hate getting things wrong. Have you ever sacked anyone? “I should think it’s very difficult. I do hope I’ve made it impossible. In addition to editing Private Eye, Hislop is a regular on Have I Got News For You and also presents documentaries for the BBC. Can the Eye cover the BBC impartially bearing this in mind? “Oh, yeah. Because my first job was Spitting Image, which was ITV. And I used to do documentaries for Channel 4… I mean, I don’t want to sound like Auberan Waugh, but I will work for anyone. “God, I mean, the amount of BBC stuff per issue – were they having a major objection, I think it might be registered by now. In July, a number of celebrities wrote to Prime Minister David Cameron warning him that “a diminished BBC would simply mean a diminished Britain”. It has been dubbed the 'luvvies' letter'. Were you asked to sign it? But you didn’t sign it. “That I’m not going to say. Are you worried for the future of the BBC? “Mm. I think it’s playing all its cards very, very badly at the moment. And I think the BBC has a huge amount of things going for it. And, you know, I’m a huge fan of the Proms – I think paying for four orchestras is fabulous – I like a lot of radio, which I think is very, very good. “But it’s allowed itself to get into a position where everything it does appears to be self-defeating. And I hate the thought that that’s going to end up with them emasculated and feeble. “I mean, you look at what the [BBC] does week after week and it shouldn’t be a problem. I watched two documentaries last week alone, which I think were worth the licence fee. What newspapers do you read and like? Who are your favourite journalists or editors? You have previously described Private Eye as the best job in the world. Do you still believe this? How long do you see yourself doing it for? When you were first made editor you said you’d do the job for five years. You’ve now been at Private Eye for nearly 30 years. How many more years do you see yourself staying? Have you been offered any other jobs?